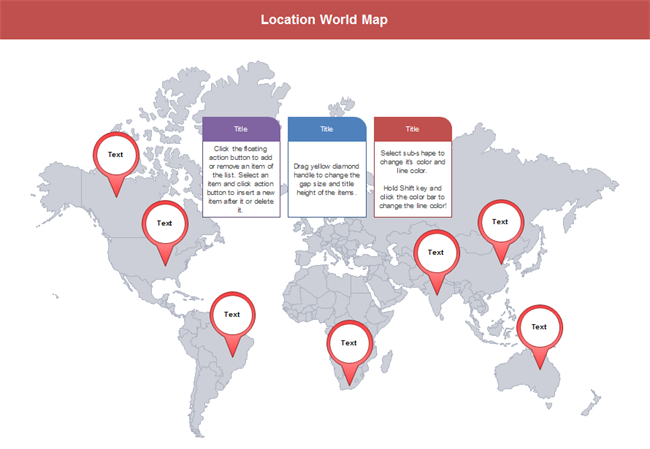 Vector world map templates with built-in location markers, location pointers, description boxes, chart, and other additional features, which are best aids for creating excellent PowerPoint presentations. If you need editable world map templates for presenting enterprise locations, doing marketing report presentation, showing air routes, planning travels, or educating students, here you can find rich resources. 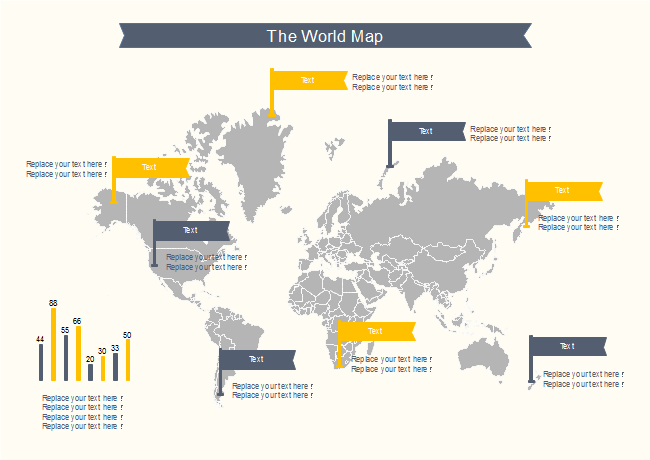 All world map templates you see below are high resolution designs in vector format. When resized, there will be no clarity loss. They are editable, which means you can change the colors and fill effects, insert location markers, add descriptions, alter backgrounds, highlight a country, etc. The markers, description shapes, highlight callouts, connectors and clip arts are pre-made in the software. You don't need to bother to look for or to create those symbols. Everything is ready; just use. What the "vector" means is that each country is a separate map, if you need the map of a certain country or a certain continent, simply ungroup the map, and take that part. The files can be exported to many different formats, including PDF, PPT, Word, Html, SVG, JPG, and a lot more. 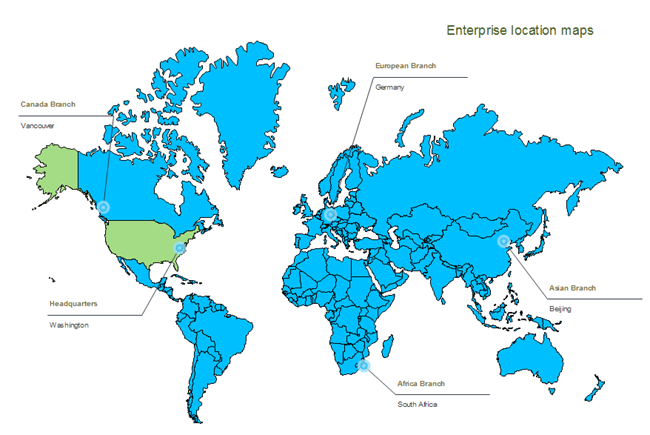 World maps sometimes can be used for creating business presentations. 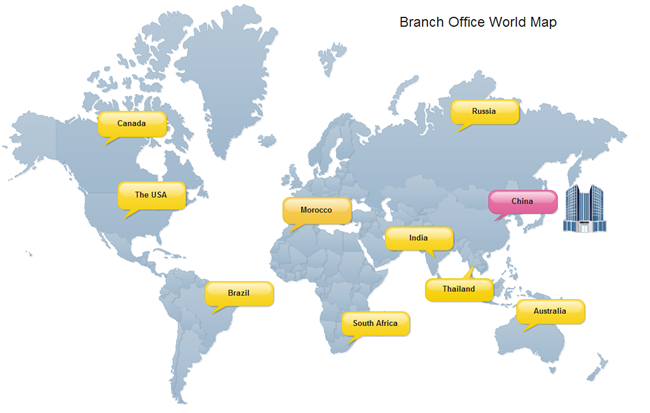 For example, a company's sales department might use a world map for international sales analysis during a meeting. 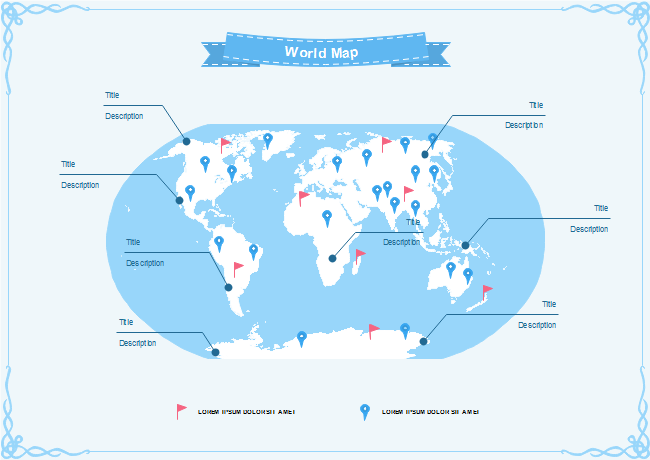 This customizable world map is available to download. You can change its color and add built-in description boxes with different styles. This template is presented to illustrate the feature of highlighting a special part. The template is highly customizable and coming with a great range of built-in indicators for choosing. In addition, a large collection of clip arts are included, which are very handy for creating business presentations. This template is practical for marketing reports. 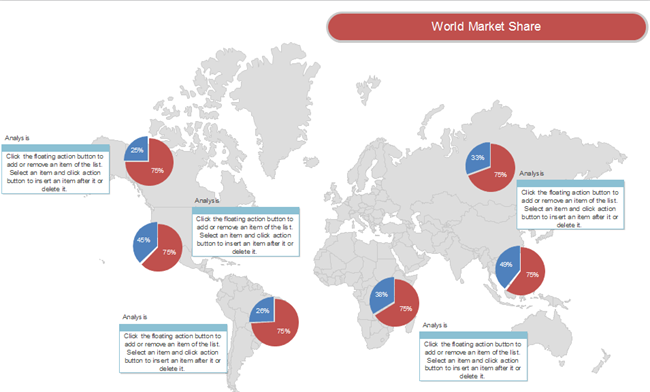 The built-in pie chart shapes with smart behaviors let you quickly visualize the marketing data and make a compelling presentation that impresses the audience. 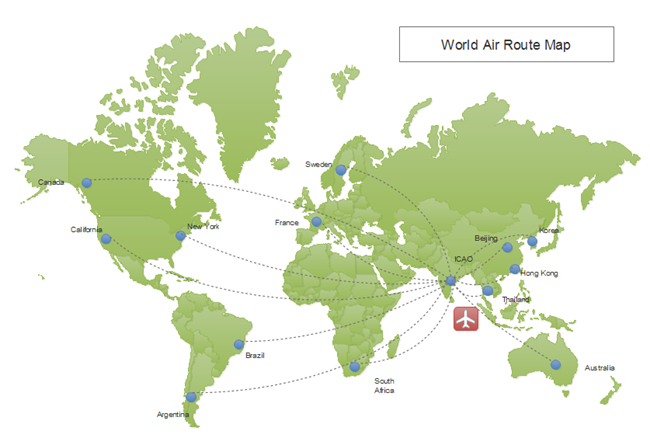 Creating a visually appealing air routes map is just a few clicks away with Edraw. You can have the following template and customize for your own use. 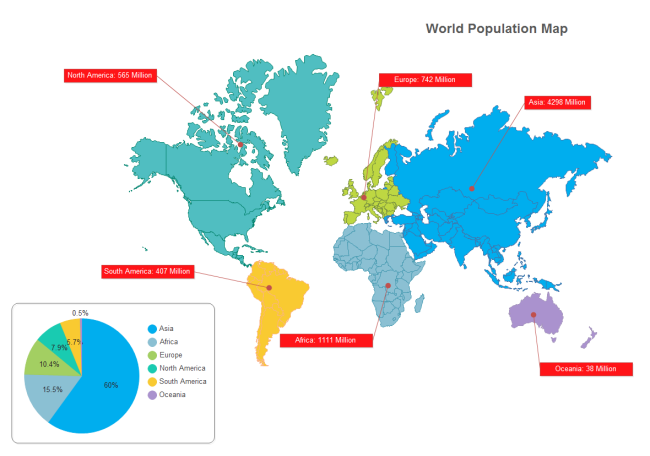 The world population map marks population in each continent with different colors. The pie chart in the bottom left indicates the detailed proportion of population in the word, Asia has the largest while Oceania has the least. The creative dots world map features forming the shape of five continents with dots in five colors. The continent shape made up of dots is not as accurate as the map above. 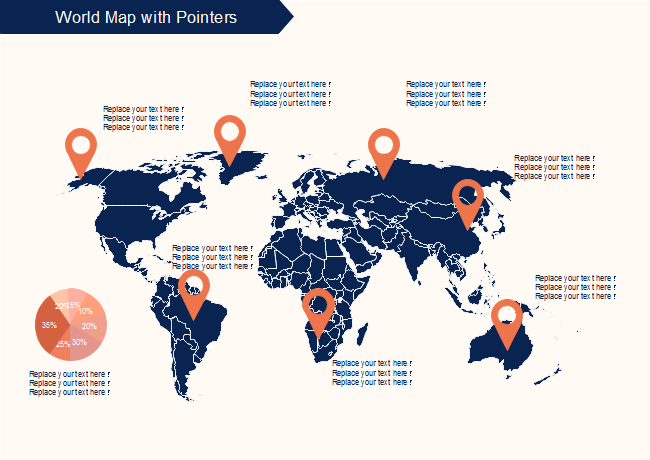 Here is a world map with orange pointers in beige background. If the pointers locate in places of interest, the pie chart in the bottom left can be used to compare the proportion of visitor traffic in these scenic spots. The following is a world map in light blue background with an ornamented frame. The main part is elliptical with blue symbolizing the ocean and white symbolizing the land. Red flags, blue pointers and black dots are available as marks. The color in the world map with flags will catch the audience's eye at the first sight. The combination of bright orange and nave makes it modern and passionate. 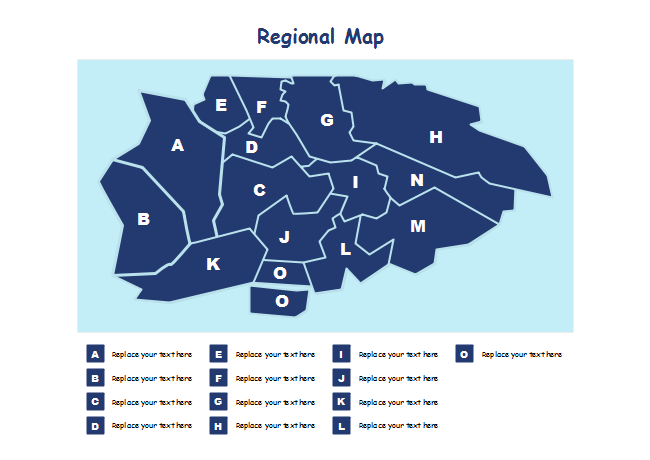 Here is a regional world map in the shape of a jigsaw consisting of small pieces of different shapes. The capital letter in each piece can be used as a mark of the planting area, rainfall or other variables. 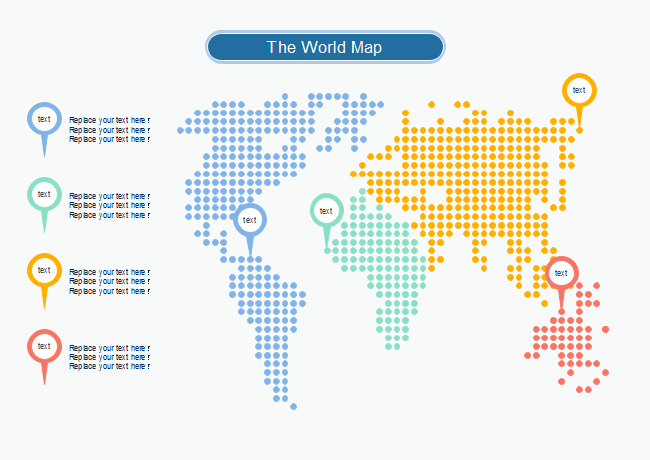 Download a free trial and see first-hand how quickly and easily you can create great-looking world map.